2013 has been a very good year for the stock market with Nifty and Sensex making the new high. Expectations are very high again for 2014 with the hope of improvement in the economy and a strong government from the up coming 2014 Loksabha election. Below are some of the stocks which did not performed much well in 2013 but are expected to do well in 2014. All these picks are technical picks so one must follow with strict stop loss. In this stock we have seen huge up and down in 2013. The stock is forming inverted head and shoulder pattern with neckline placed at 470 on the weekly charts. The breakout will open the doors for the targets of 550/600/660 levels. Stop loss can be placed at 445. 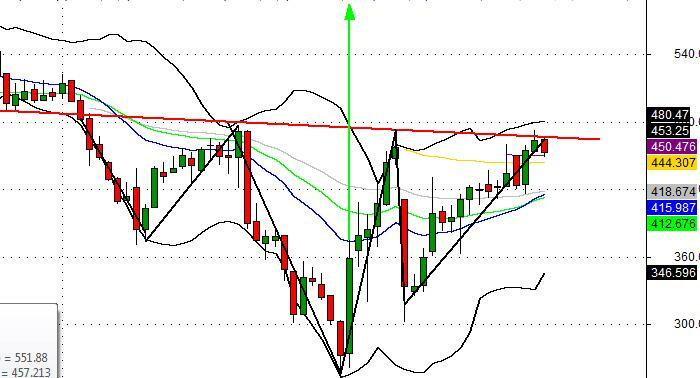 Buy only above the breakout of neckline. Tata Chemicals has under performed in 2013. The stock has come out from the downward sloping channel and also there is inverted head and shoulder formation on the weekly charts. Above 290 the stock has the potential to test 330 and 340 levels very soon. The stock traded in a range 350 and 450 in 2013. At the lower end of the channel the stock has formed bullish engulfing pattern which is a reversal pattern. The pattern has also confirmed with the positive weekly close on the following week. 370 is a good support for the stock. Possible target is 455-480. Reliance the heavy weight stock is currently trading in the contracting triangle. 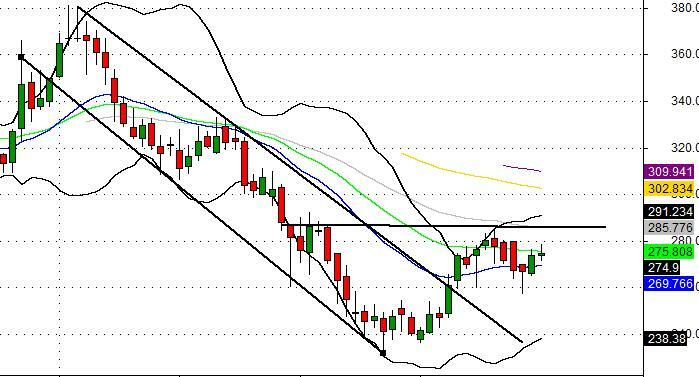 Breakout will come on the weekly close above 910, which can take the stock to the levels of 1000 and 1050. Buy only after the breakout. Abhishek Shukla is a Technical Analyst and financial adviser. He has six years of experience in the market and has trained many people technical analysis. Very nice Sir. Sir should we take positions options of above said stocks or stocks/futures only ?